Great news! 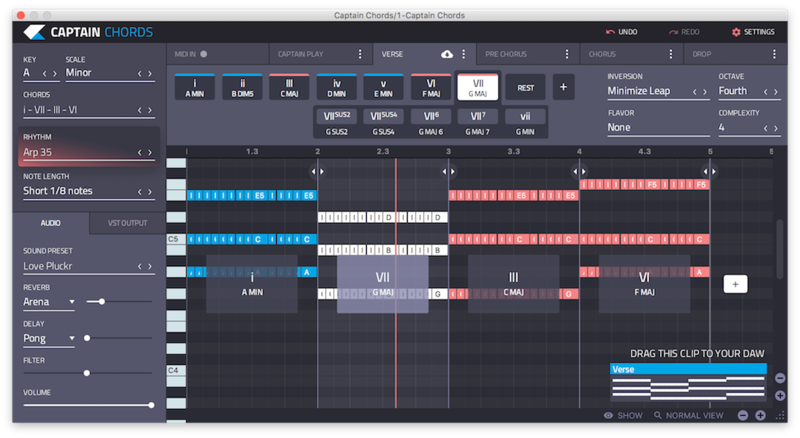 Captain Chords is now officially available on our website for all Windows and Mac users. are you also planning to release Melody and Deep for Windows and if yes - when? using it on windows 10 in FL12 as we speak and its pretty solid! only thing id like to see is for it to read midi/chords like scaler and when you close the window it still plays. a little workaround is to put it on vst output so there's no sound. Is this a separate purchase or is there an address where we can download the plugins for existing users? Which plugin is next for windows, and when is it expected to be ready? Still waiting for news that Captain Melody is available for Windows. Any news? Which Captain plugins are currently available for Windows? Given that it's the holidays, it would make sense to have a sale. I purchased Captain Chords two days ago, installed it but I'm unable to pull it up in Maschine. How do I use it in Maschine and do I need to do anything special to get it working in Maschine?